I remember when I was completely anti-distressed everything.. and now I can't seem to get enough of it, especially these jeans. I love the light wash and how they look with this neutral color palette. This is such a gorgeous outfit. That top is so so pretty. how sweet...love the heels and the top! Beautiful look! 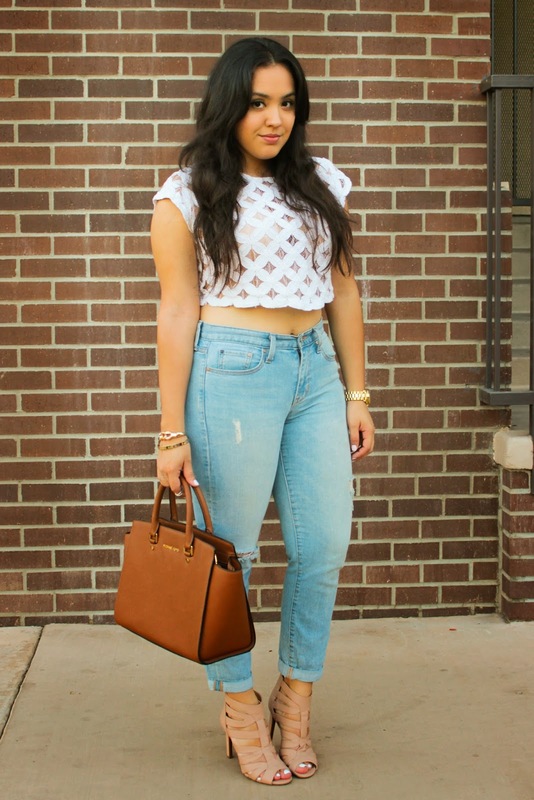 Gorgeous bag and denim! I love the way you styled it! !